RetroTax is a full service tax credit administration platform that allows your company to generate federal and state tax credits based on the employees you hire, locations you open, and growth you experience. We help organizations turn HR into a profit center. Our integrated offering reduces the amount of time and administrative burden spent managing these programs, and all work is on a contingent fee, which means no risk, all reward. 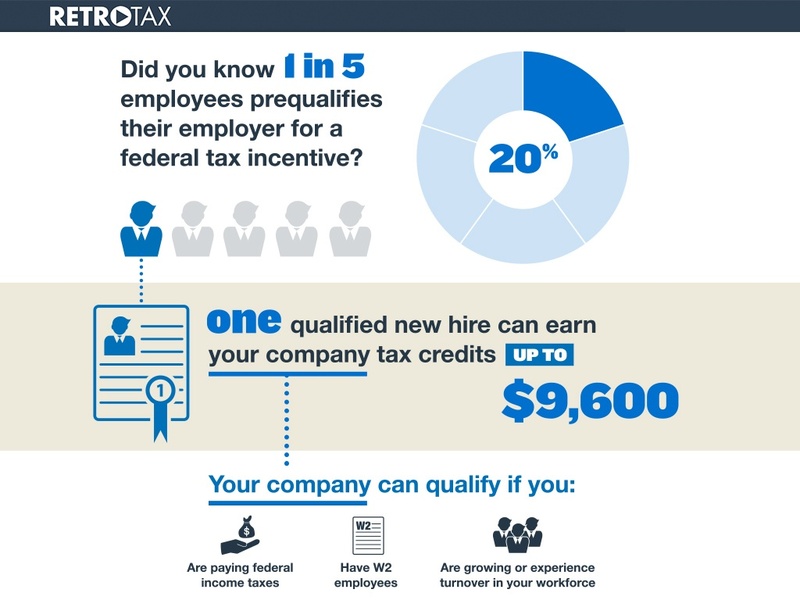 As you hire and onboard new employees, RetroTax is there to help you screen these employees for potential tax credits. 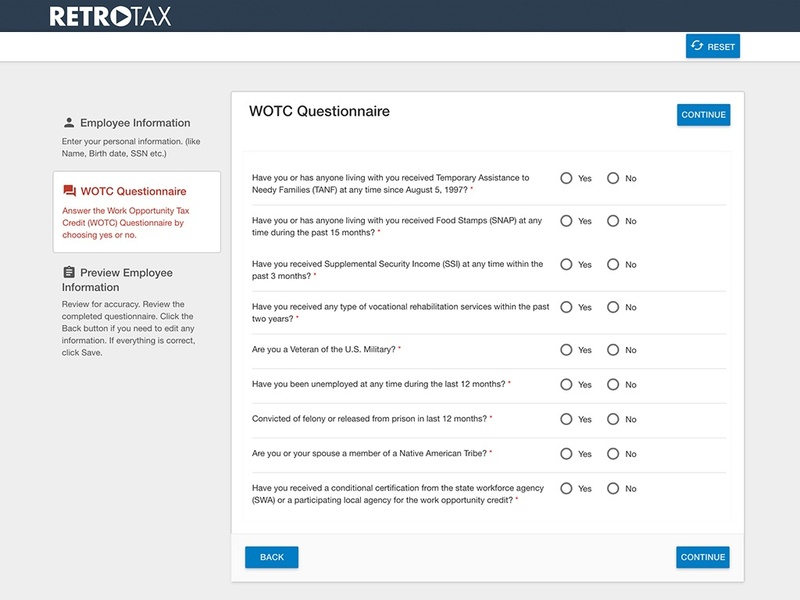 All new hires receive a tax credit questionnaire to complete, and RetroTax takes the process from there, handling the certification process from start to finish. RetroTax clients receive monthly reports to keep on top of tax credit activity. At glance, track number of new hires screened, pending certifications, and applications approved for tax credits. You only pay if we are successful in generating credits for your company. No risk, all reward! On an annual basis, we’ll reach out to you for payroll data to create a final tax package that your CPA/tax counsel can use to apply the credits directly to your company tax returns. RetroTax can also help your company administer other federal and state tax credit and incentive programs. During our introductory appointment we will discuss the availability of other programs in your area and industry. Upon integration RetroTax will confirm your ability to utilize federal income tax credits and discuss other tax savings programs that may be available to you. From there, the integration allows simple and seamless screening for tax credits. 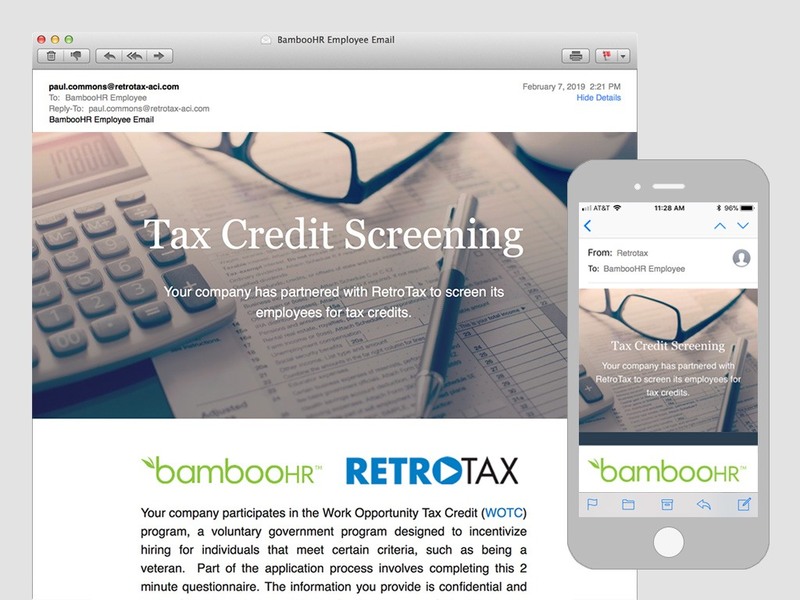 New hires complete the tax credit questionnaire during the onboarding process, and our integration with BambooHR takes it from there. 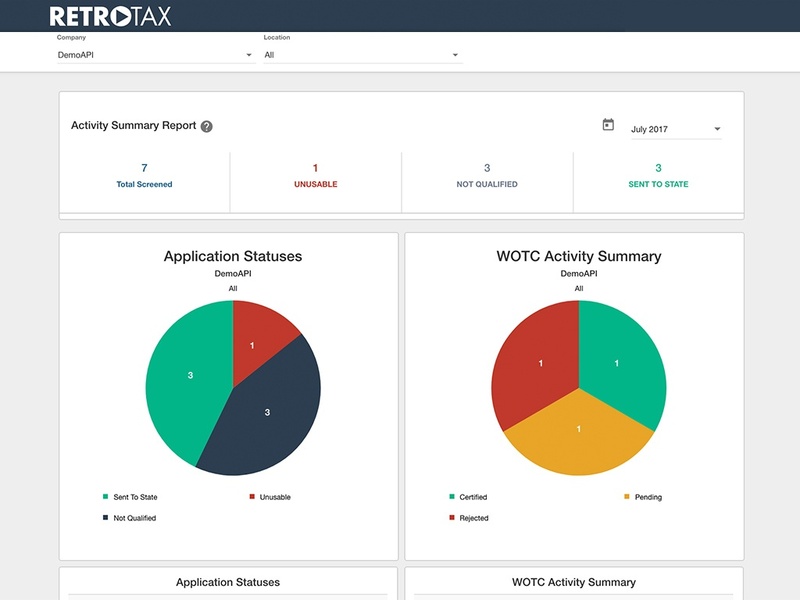 The integration allows RetroTax to submit applications daily for certification to the respective State Agency, ensuring maximum tax credit eligibility. Screen new hires for tax credits & savings. Integrated Work Opportunity Tax Credit admin.